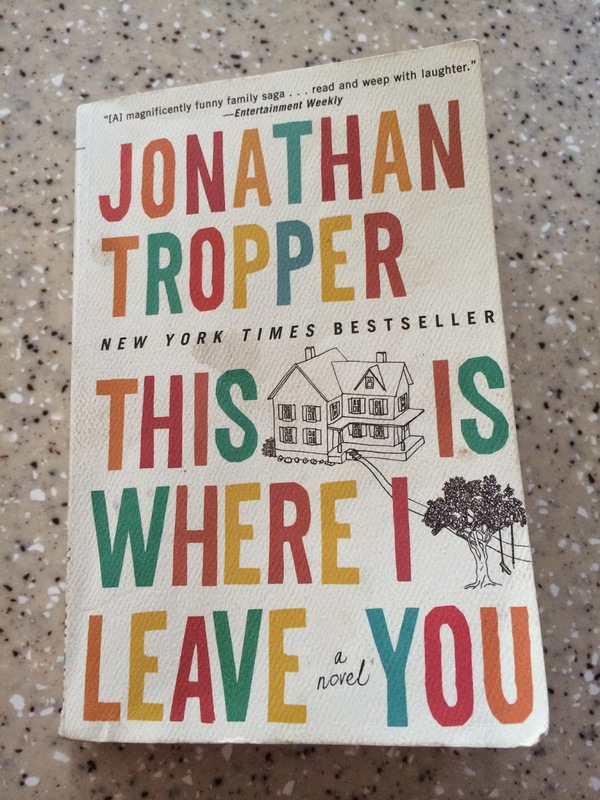 I found this book in the trunk of my car, opened it, and finished it the next day. Still no idea what it was doing in the car, but I highly recommend it! I’ve never read a book with this much physical comedy in it, yet somehow it works. Can’t wait to see it on the big screen when it comes out starring Jason Bateman and Tina Fey! Speaking of the big screen, (see what I did there?) Kevin and I recently saw A Most Wanted Man starring the late Philip Seymour Hoffman. 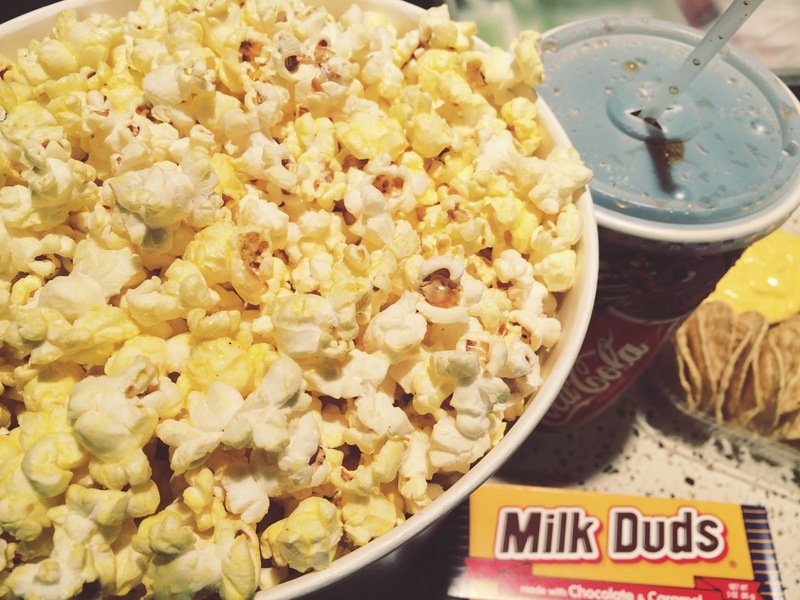 We NEVER go to the movies because if we go out without the kiddos it’s usually for some sort of social event, but on Sunday afternoon we decided to get a babysitter so we could actually watch an entire movie without falling asleep and gorge ourselves on junk food, free of judgement, in the dim lighting of a movie theater. Interesting movie, great acting, but not exactly a feel-good film. If you’re looking for a movie that confirms every suspicion you have about terrorism and the incompetence of government, while also leaving you feeling frustrated, paranoid and disappointed, this is it. I give it 4 and a half Xanex. 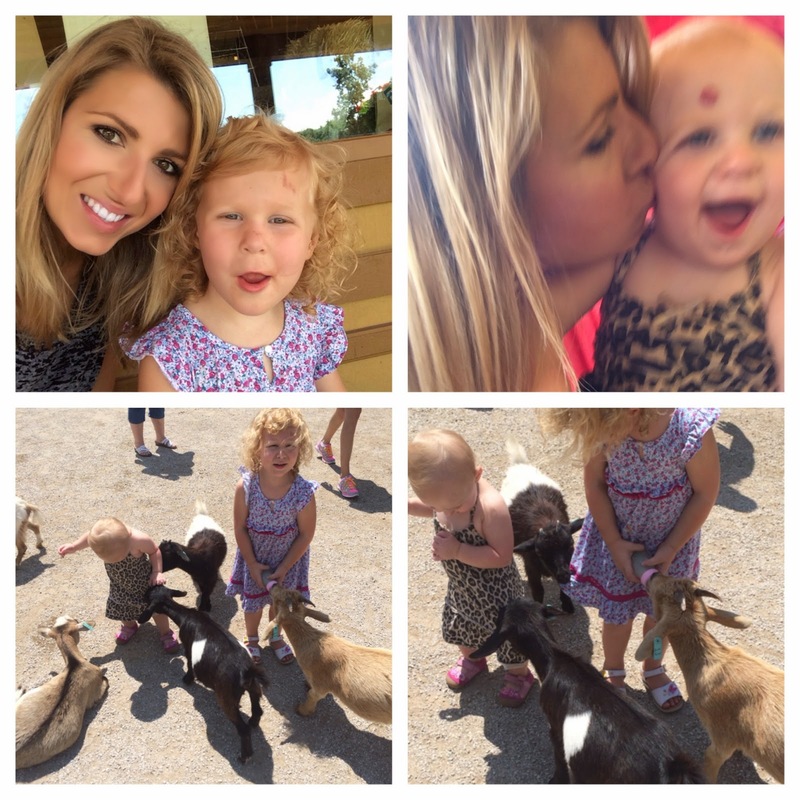 Yesterday I took my girls to the Deana Rose Children’s Farmstead which is a little petting zoo of sorts with lots of learning activities for the kiddos. Avery was so excited to feed the baby goats with a bottle but when we got in there they all flocked to my children and started chewing their dresses and pulling at them. It started in tears and ended in screams of panic with me barreling out of the pen with a girl under each arm and my purse slung over my back like a cape, pushing at the goats with my foot to keep them behind the gate. 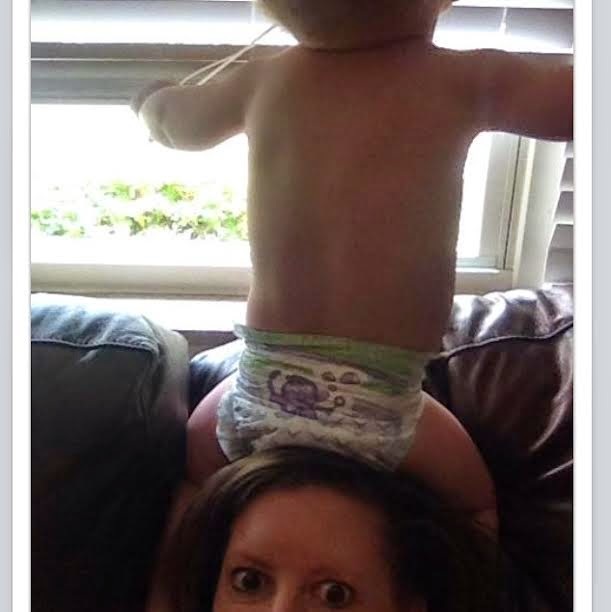 #SuperMommy to the rescue. This is a delicate little flower arrangement I made from some of the flowers in the yard at my new house. I love the colors and can’t wait to explore more in the side garden. 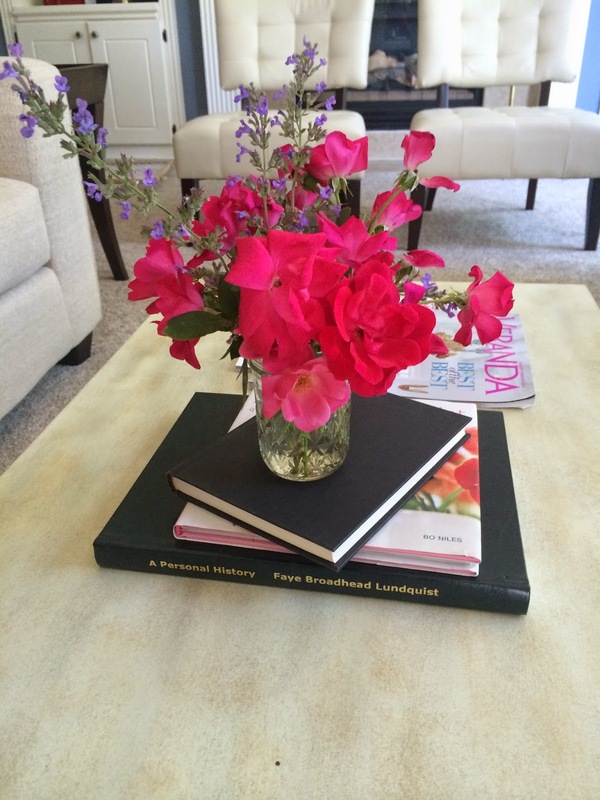 There’s something about a simple, mini flower arrangement that lifts my mood in an instant! Just some kitchen scissors and a jam jar and voila. THANK YOU for sending me all of your #MKMReal pics! I loved seeing them over the weekend. Here is the winner of the Stella and Dot studs of her choice! This baby hat made me laugh out loud! Tomorrow I will have another fantastic giveaway from Rodan + Fields so check back for details to that!